The Eclectic Reader: Bonjour 40: A Paris Travel Log by Karen A. Chase - Review, Interview & Giveaway! 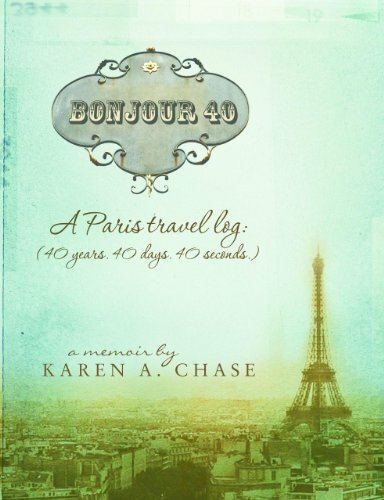 Bonjour 40: A Paris Travel Log by Karen A. Chase - Review, Interview & Giveaway! Synopsis: If Karen A. Chase absolutely had to turn forty, she decided she could do it gracefully in Paris… for nearly forty days. What began as a blog to communicate with friends and family, became a travel journal filled with over a months’ worth of humorous and insightful glimpses into her Paris adventures, each of which could be read in about forty seconds. Journal entries are interspersed with Chase's own inspiring photography. Additional, longer stories richly fill in details allowing readers to reflect upon her experiences with food, travel, photography, Parisians, writing, and love in the City of Lights. Through her Parisian- and self-exploration, comes a book that brings to life the richness of Paris as seen through the eyes of a romantic travel junkie. Chase shows readers the joys of turning 40, and with her magical view of Paris, they'll be ready to board a plane before they've turned the last page. Oh how I loved this ... let me count the ways - Oh combien j'ai aimé ça ... laissez-moi compter les manières. I fell in love with the cover. 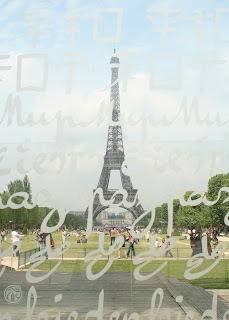 I love the romance of Paris & the beauty of the French language. I've always wanted to go to Paris; now even more so! I love food, I drooled at the mention of food; cakes, custards, pastries, icecreams, café crème, chocolate, bread, fresh produce. Even though my age is 4-0, I can sincerely say there is a spirit in me that is still thirty, or twenty, or even ten. Perhaps it’s because I’m giving that little girl in me the gift she’s always wanted - a grand adventure. I love that Karen 'packed light' in more ways than just the literal. I love that Karen mentioned being in Paris for William & Kate's wedding, her adventure is recently fresh. I loved Karen's photos, the capturing of memories. I wanted more! I loved Karen's attitude and I do believe it applies to more than just the language. "I’m now convinced that speaking a new language is 25 percent knowledge, 50 percent experience, and 25 percent having the balls to open your mouth and speak it." 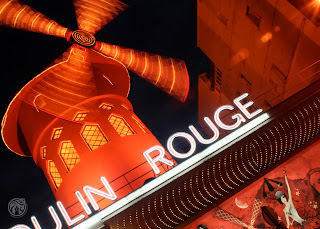 My brief journey to Paris through Karen's eyes was Délicieux! Magnifique; not the Paris that tourists visit for the day, but the heart & soul of Paris; little jumbled streets, quaint cafes, charming stores, unique wares, the French outdoor markets, tucked away galleries, the art, the people, the peek into daily life. I want my mouth to water over le chocolat chaud at Cafe Viennes & creme brulee at Cafe de Modernes. 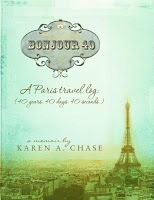 Purchase Bonjour 40 @ Amazon for $4.99 - go on, you know you want to! 1. You conveyed your love of Paris emotionally & eloquently, was there anything you found challenging to write about? This book really just flowed out of me. I’ve heard authors say this before, and now I know it’s true that an experience can be so moving that it easily jumps onto the page. The harder part was finding the time to write once Ted joined me. We really enjoy our time together, and exploring Paris at night was safer once he came, so I was often crawling back to the laptop as he was dozing off. 2. We know you have a passion for travel, writing & photography… any other passions you’d like to share? I love to cook and bake. It is relaxing to experiment with recipes, make up new ones or alter those I find. I especially like making my sweet rhubarb custard pie–it’s my mother’s recipe. Obviously design is another passion. 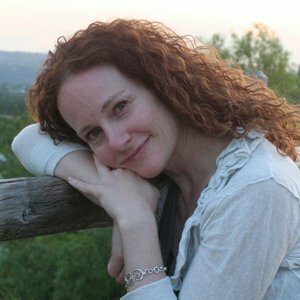 I’ve been a graphic designer for almost twenty years, and that creative process spills over into the cooking, baking, gardening, writing and everything. 3. Do you have an ‘up next’ on your travel bucket-list? In 2012 Ted, my partner, turns 60, and he’s Italian. I’ve seen parts of Italy, but the eastern coast that sweeps up and then runs down into Montenegro sounds wonderful. Southern Italy and Sicily might be the other option. Either way, some of it will be by sailboat. After that, I’m hoping there’s peace and quiet comes to Egypt so I can visit, as that’s on my list. 4. What are you reading now? The Spanish Bow by Andromeda Romano-Lax. I’m in a book and supper club with my neighbors and we’re reading it and trying new recipes for a Spanish Tapas dinner. I’m also reading David McCullough’s The Greater Journey, a book about women during the American Revolution by Cokie Roberts called Founding Mothers, and I just finished Bossypants by Tina Fey. Those last two are a little different, but they both talk about Colonial lady outfits. 5. If you could be dropped into any book as a character who would you be and why? This is the best question I’ve been asked yet. It has to be something with adventure. Phileas Fogg in Around the World in 80 Days perhaps. Though my first adventure book, although she traveled less distance, was Anne of Green Gables. So maybe Anne–her life was sweet, and filled with books and love. 7. Are you working on another book? Is it a travel memoir, or another genre? What’s up next, writing wise? My next writing work is an historical fiction novel about the Declaration of Independence. It’s a pretty hefty story with a lot of research. I’m working with an editor now on that one. With our trip to Italy, perhaps Ciao 60 will follow Bonjour 40, although I don’t think either of us can swing 60 days! So while Bonjour 40 was a memoir milestone for me, I know there are other travel essays I’d like to do simply because I don’t plan on staying home all the time. 8. If there was one author living or dead you would like having dinner with, who would it be? Because of the work I’m doing for my book about the Declaration it would have to be David McCullough. I toured around locations in New York during my research, and I kept hearing stories about him. His book 1776 has been so important in my research. I just want to pick his brain over dinner. Or perhaps Tina Fey. I think our cheeks would hurt after dinner together, and we’d each order our own dessert. 9. 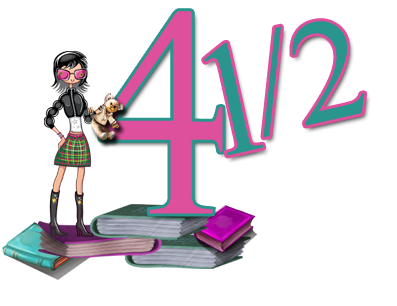 I’d love to see even more photos in your book; did you have trouble choosing which photos for Bonjour 40? Yes! I took over 2,000 photos. Sure some of them were duplicates to get the right light, but still, narrowing down the trip into a handful of images for the book, without completely replicating what followers saw in my original blog, was tough. There were almost 200 from the few days in Provence and 250 my two-day excursion to London, so narrowing those down into just two or three, because the book focus was Paris, was excruciating. 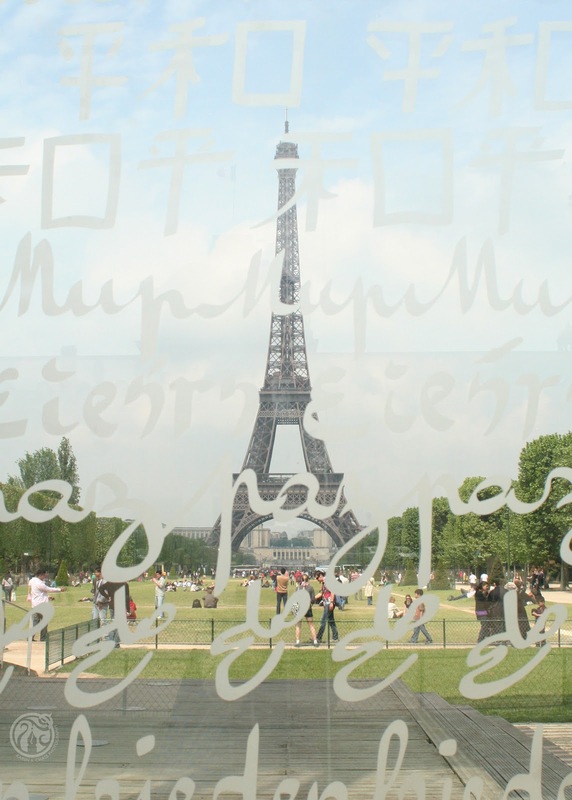 Win a 5×7 print of one of Karen's professional pictures of Paris. Leave a comment regarding BONJOUR 40 and tell us the top travel destination on your bucket list Don't forget an email address. Ends November 16th and the winner will be announced on my blog. Good luck everyone! My immediate choice would be Vietnam with its French overtones! I want to go to Versailles, and the French countryside! Great review and interview Sheree! I absolutely LOVED the way you did this review. And can I just say that you are to be blamed for me buying this one!! I want to go to Paris so bad!!! I got to spend a summer in Europe when I was 16 and I had such an amazing time!! I got to go to Rome, Paris and London and many places in between! I would love to read this book and revisit Paris. If I could pick any place to go to I would go back to the Vatican! That experience changed my life! Mine for sure is Italy. All of it, but especially Venice. Of course there are many more places! Hi, back from my travels and trying to catch up with all my favourite bloggers. This is definitely going on my wishlist, similarities to Facing 50 With Humour which I think you would also enjoy, (recent review on my blog if you are interested). Having just come back from Asia, there are still vast tracts of this part of the world that are on my list. Normally I would have said Spain, but this year I have been really, really focussed on Paris and I am longing to get to visit again. Just won't be any time soon in real life!